Ever since the U.S. garage band boom in the 1960s, teenagers have always looked to form bands in garages, basements, backyards and other places to hang out, make noise and have fun. guitar lessons, they learned it’s time to put a little effort into forming a proper band. Get Your Friends in the Band! Ask around your school and youth groups for any kids who might know how to play drums, guitar, bass or keyboards. Finding bandmates that share similar lifestyles, common upbringing, and shared values will be invaluable as the band grows up. Practice Often with the Drummer! If you’re the guitarist and singer, make sure you practice a lot with the drummer. It’s important that your drummer can practice often and develop a good rhythm with you. Your bass player will eventually fit in, but your band will sound much tighter if the guitarist and drummer are locked in together. Find a Good Practice Space! For most teen bands, a garage or basement will be perfect. But in Arizona, very few basements exist. So ask around to find nearby unused spaces that your band can practice in after hours. You’ll be surprised how many disused office spaces or business spaces are open to some cool kids, if they ask! Take Every Show You Can! There’s no better experience for a young band than to play in front of an audience. It matters little if it’s an audience of your 10 friends, a church group, or a kids’ fun fair audience. Say ‘Yes” and practice enough to sound decent. The crowd will appreciate your talents, and the band will gain stage experience. Promote your Band! Once you have some shows lined up, use your art skills to develop some simple fliers that let people know when you’re playing. Simple handouts with show details like date, place and time will be helpful in building up an audience. Oh, and social media helps too! But teenagers are already all over that, LOL! Be Friendly and Patient with Each Other! There’s no bigger downer in a band than one of the members getting a swelled head from playing, or a band member not knowing his parts when he or she should. Instead of getting angry with each other, try to be patient, supportive and helpful. Try to understand why the one member doesn’t really know the songs. Is it a time issue? A talent issue or a dedication issue? 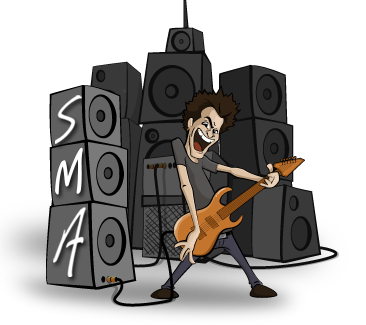 At Scottsdale Music Academy, we teach young musicians how to be in bands as part of our Band Coaching program. With practice, determination and guidance from our team of professional music instructors, your teenage band could go from the garage to the headlining stage! Call us at 602-751-3537 today – your first lesson is free – or stop by our website. 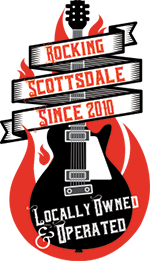 We’re the leading music instruction academy in Scottsdale, conveniently located near the Scottsdale Airpark and Scottsdale Road.